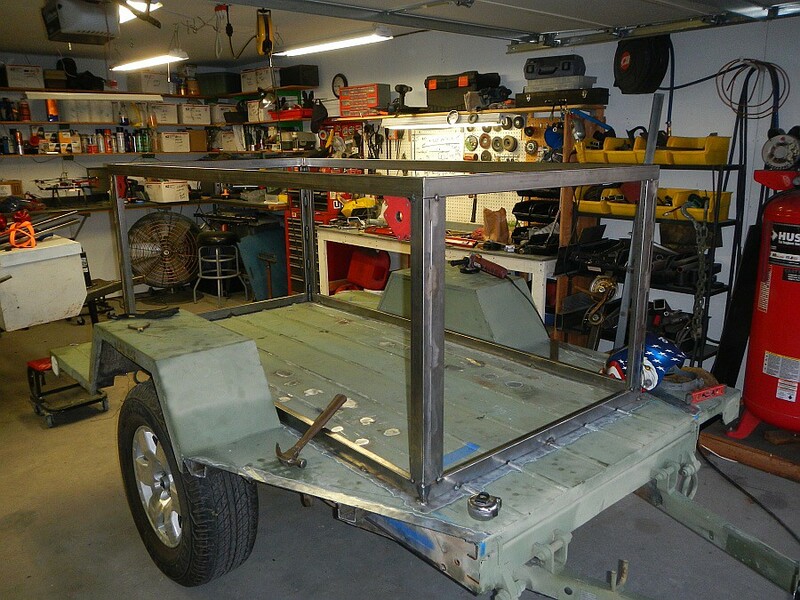 I am taking over this build, http://www.expeditionportal.com/forum/threads/119511-M116-Military-Trailer-Build . 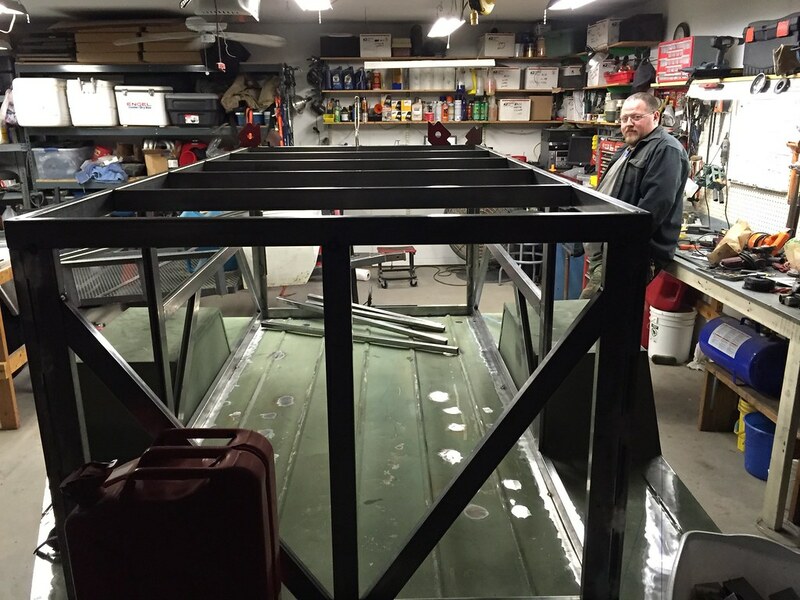 There are lots of great photos of what work Rob did to the trailer prior to my purchase. 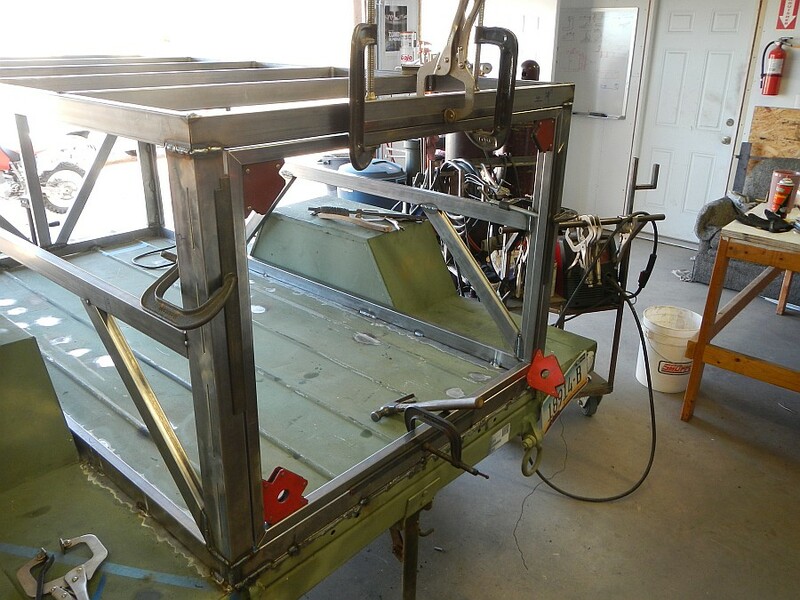 He did an excellent job and I am hoping to work with him for additional fabrication help. I am still working on my final plans for the box on top. 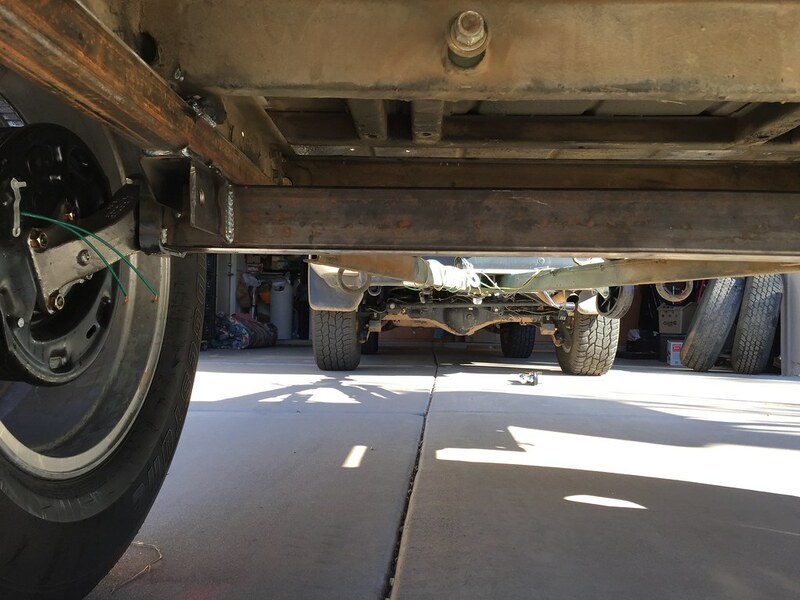 The biggest change to date is I have elected to put a torsion axle on the trailer along with electric brakes and hubs that match my FJ. Work is in progress on that and should be completed before Thanksgiving. So this is just the introduction to the build. I am not that handy and will be relying on others for help with the build so progress photos may take some time. In the end I hope to have a nice overlanding trailer. I already own an RTT and just sold a M416 to start this project. Axle removed. All parts in excellent condition. I will clean them up and put them for sale next month. Here's the new one. Spectrac in Mesa, AZ is doing the fabrication work and install. The goal is to have this trail ready by May of 2015 for a Utah Border to Border run. Thank you to all who have posted all of their builds and answered all of the newbies questions. I have learned a great deal by doing ours of reading. Specs on the axle? Price? Looks like the spindles are adjustable. What is the weight rating? I will post all of that when I get ready to sell it. Hopefully I can get all the parts nice and clean over the next couple of weeks. I will post up all the parts id's and figure out pricing on them soon. All the stuff is at the shop otherwise I would take a look for you today. It is a stock axle off of a M116A3 so if that info is online somewhere you might be able to get the answers you seek sooner. 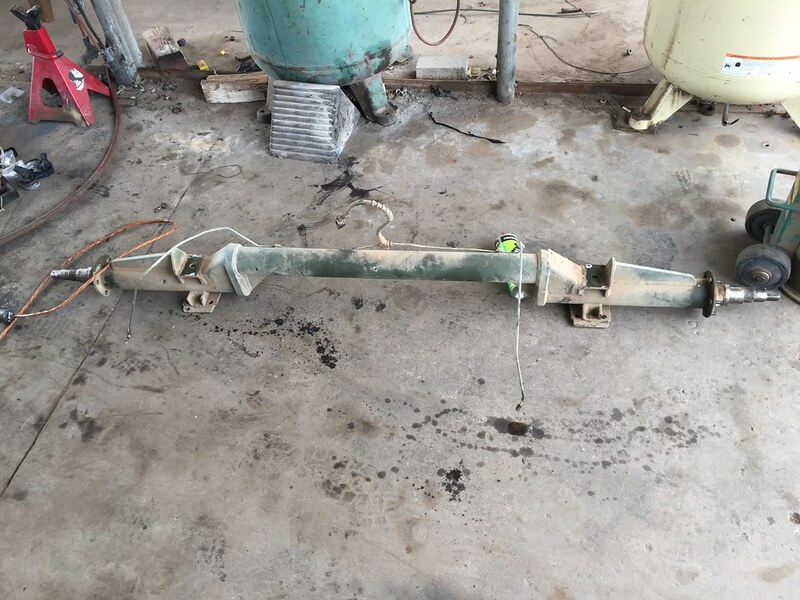 I know all the bushings are in great shape as are the leaf springs. I haven't had a chance to look at the hubs and brakes. I was asking about the new axle. Old axle is not worth much more than scrap let alone shipping. Hubs, brakes, and springs might have some value. Oops! 3500lb reduced to 2500lb because my trailer just won't be that heavy. Dexter hubs with electric brakes. Still working on all of my wiring solutions for the entire trailer. I looked through your build as well. Nice job. 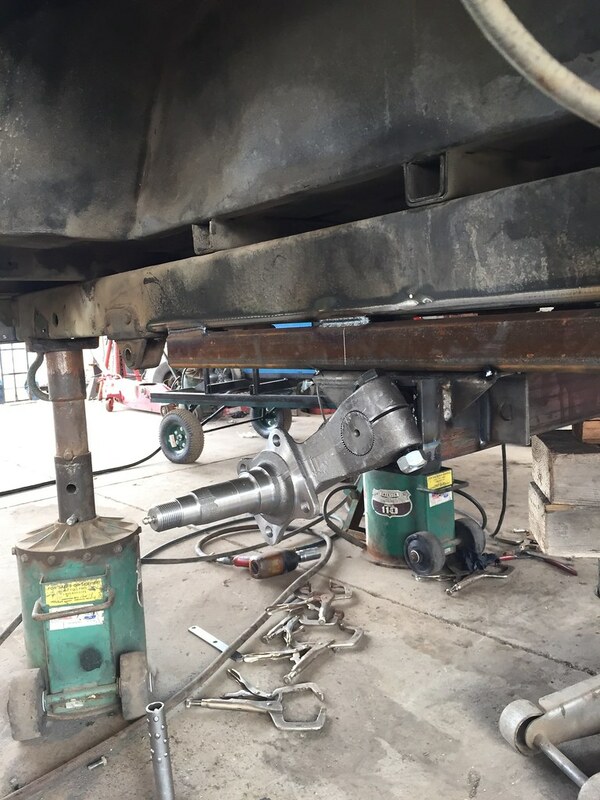 The new axle has been installed. I have a long way to go including all of the wiring but this is a start. 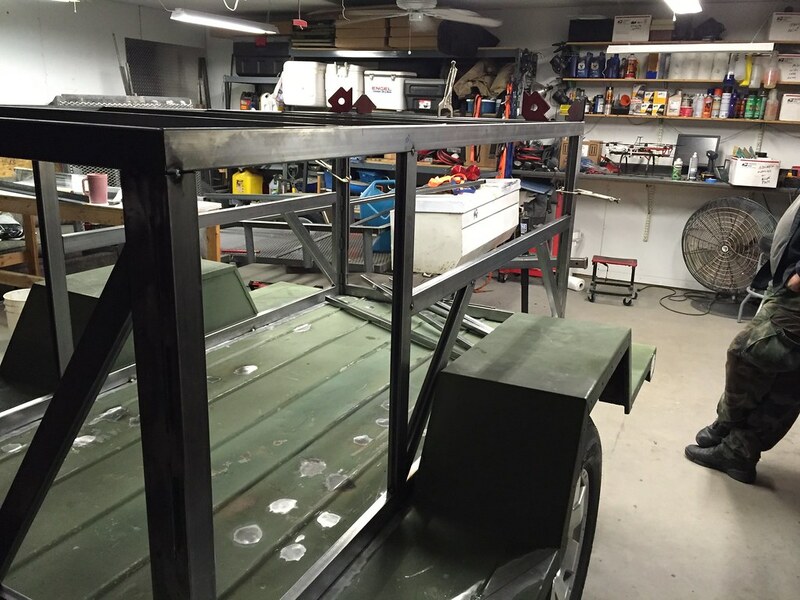 The trailer platform is now 4" lower which helps with my design. 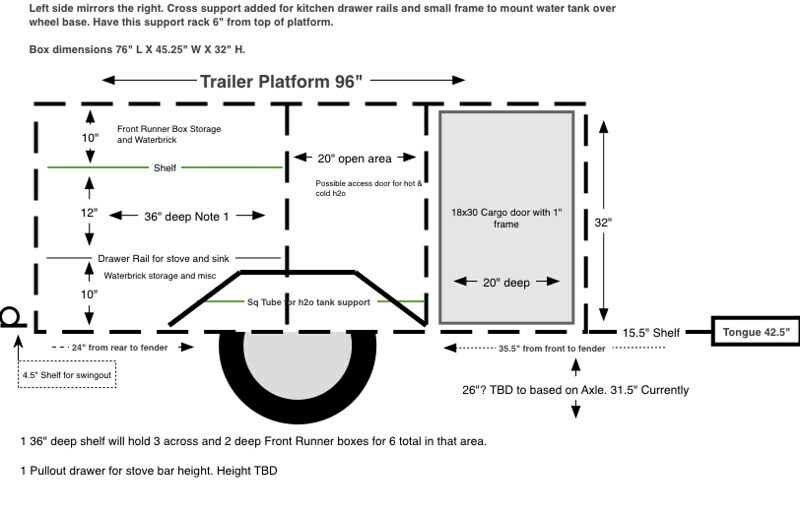 I will have an 32" box with an RTT on top and thankfully it will now fit in my garage. This is a UCF Torsion axle with Dexter Hubs (6 bolt) and Electric brakes. 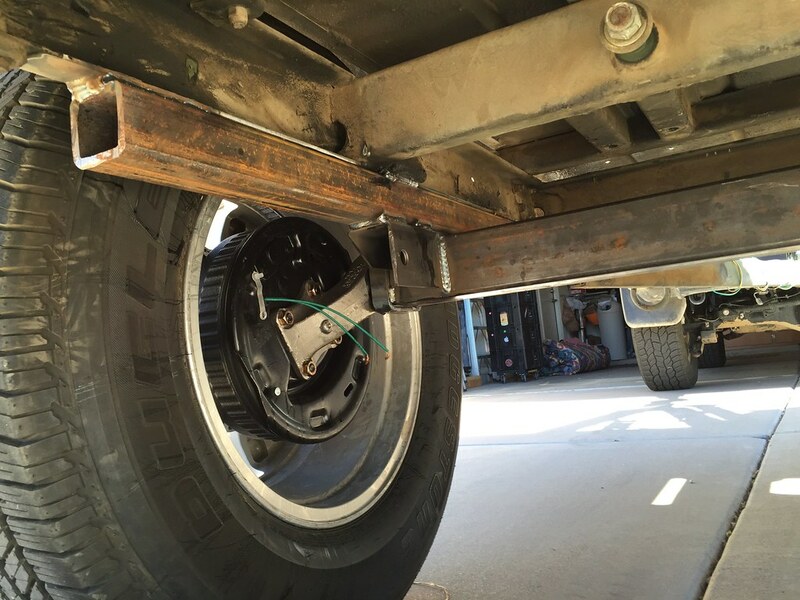 2" square tubing was added to the frame in order to place the axle where we wanted it. The wheels were also brought inward into the wheel wells. I am running stock 265/70/17 in tires with FJ aluminum rims. I am guessing I have removed about 100lbs of weight with this modification. The track is about 4" more narrow than the FJ. I may change that at a later date with some 1" spacers. Yeah 1+1 doesn't equal 4 but I wanted to keep everything within the wells. 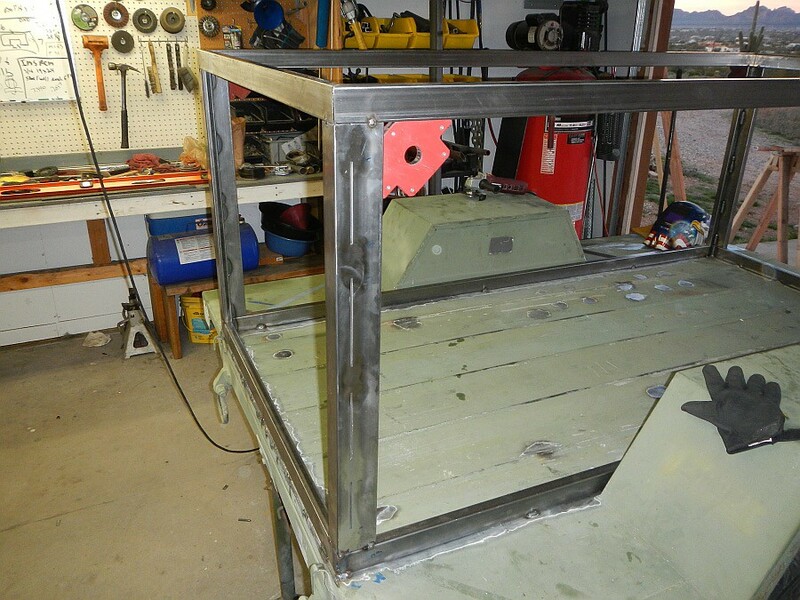 The next step is to build the frame for the box. Hopefully this will get done by the end of the year. Just a quick update. Framing will begin this week. Hopefully I will have the bulk of the framing done by mid-Feb. I opted to add some utility truck style side doors for misc items. They will only be about 9" deep which is enough for small storage boxes like Ammo cans. The back kitchen area will have 1 pull out drawer for my stove and a drop in sink. Otherwise there will be a top shelf which will hold a Waterbrick container and some FrontRunner boxes. I also opted to have a small shelf on the front of the trailer for Jerry cans or other misc items. 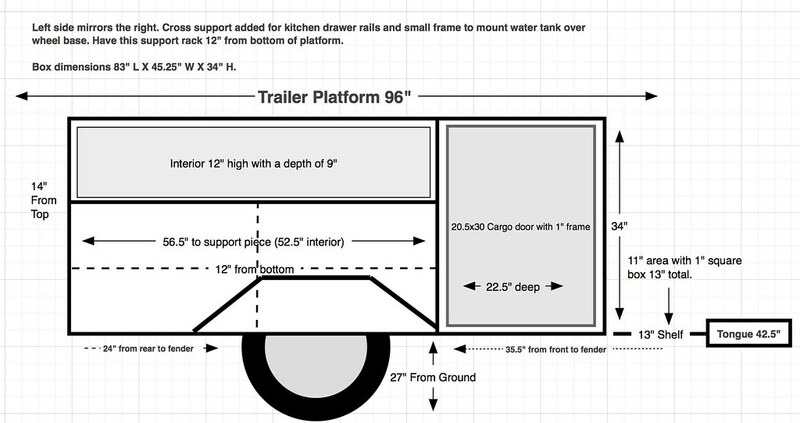 The big limitation on size of the front doors and shelf is the distance from the front fender to the front of the platform. Hopefully all of my research pays off. 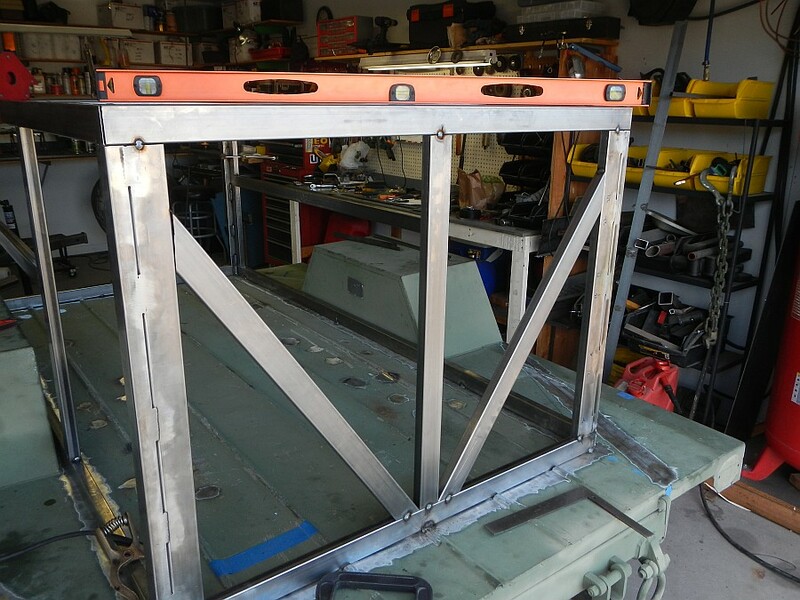 I have tentative designs for the RTT rack. Hopefully in a few weeks I can add some actual photos. Phase 1 of the framing has begun. PMA4X4 is doing the work. 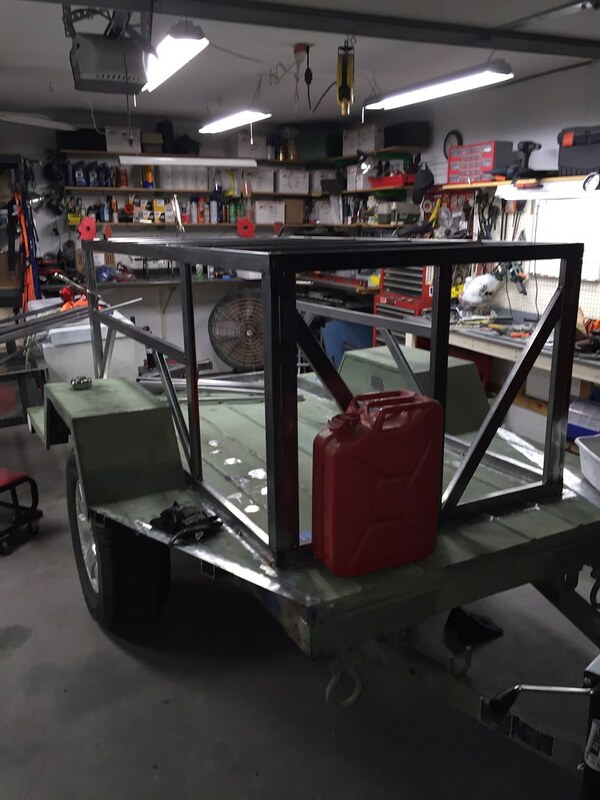 Hopefully I can take over for phase 2 which will be the door frames, internal storage framing, and the roof rack with a lot of help from friends. Rob at PMA4X4 is doing a great job. I don't know how to weld and I wanted someone who knew what they were doing to build a solid foundation. I decided to angle the front of the trailer to give it a cleaner look. There will also be a small shelf in the front for a couple of fuel cans or other misc items. Lots of welding to go! The progress looks very nice. Are there advantages / disadvantages of doing this over a conventional straight axel swap? Front shelf is 8.5" deep vs the 11" I was hoping for. 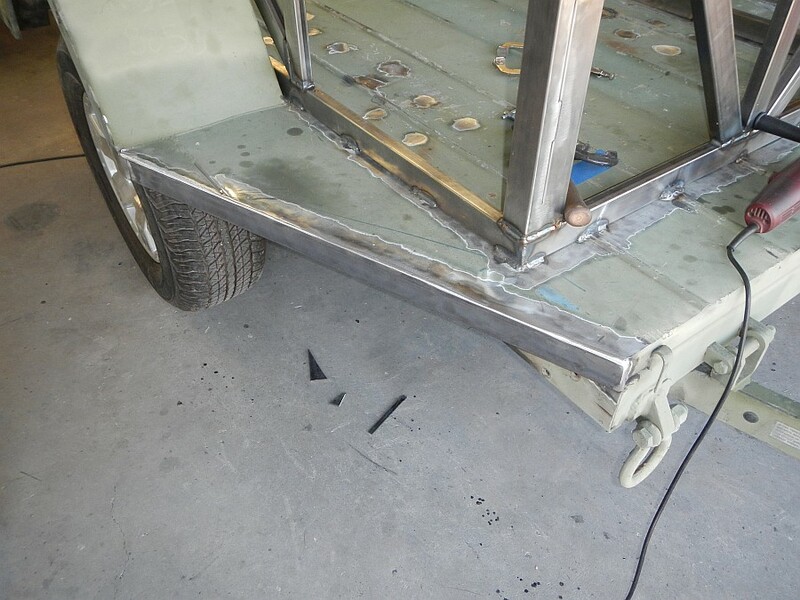 The issue was being able to weld the back vertical piece of the front door area. The built in fenders cause some issues. I can still fit a couple of fuel cans there sideways. If that doesn't work I can extend the front over the tongue if need be. Pretty excited and should have the trailer back this week. Then I can plan Phase 2 which is finishing all of the internal framing. After that Phase 3 is putting on the aluminum sheet. Debating whether to you the 3M VHB tape or use stainless steel self tapping screws with some type of removable sealant. 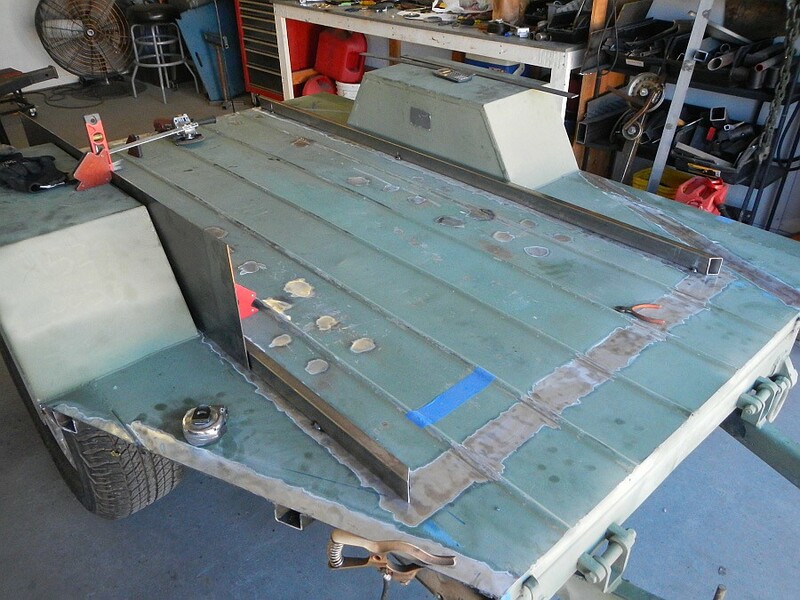 Only advantage I see to using screws would be that I can remove a panel if it ever gets damaged or need lots of access to the inside of the trailer for modifications. Do you mean getting a torsion axle? If so there is lots of debate between spring and torsion. 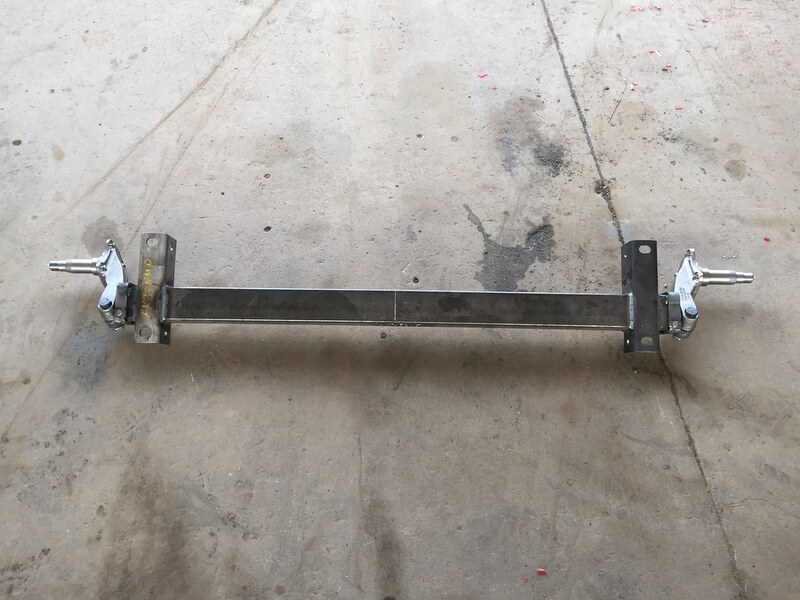 The Turtleback trailers that I like use this same axle. That is one of the primary reasons I went with it after talking to the builder of the axles. It took a lot of weight off of the trailer. I am not a subject matter expert though. So I am sure you could do a search to solicit opinions or someone may chime in here. It lowered my trailer 4" which was a requirement for my build. It's looking real good. Try a panel adhesive rather than the VHB. I tried that on my original builds and it presents problems. The screws will create leaks and stress issues with time. Just a thought. Glad you went with the axle from Spectrac, it works very well. Edges for the new angles on the front. Angle support front of trailer box.